Only eight premiership points separate the Hawks, at the top of the table, from the eight-placed Eagles. That’s a small gap! 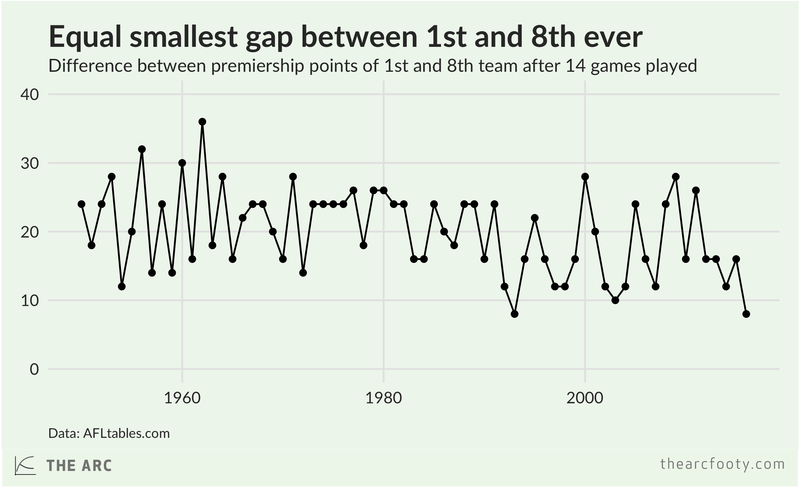 In fact, that’s the equal lowest gap between first and eighth at this point in the season, ever. But the gap between first and eighth doesn’t tell the full story about how tight the ladder is at the moment. 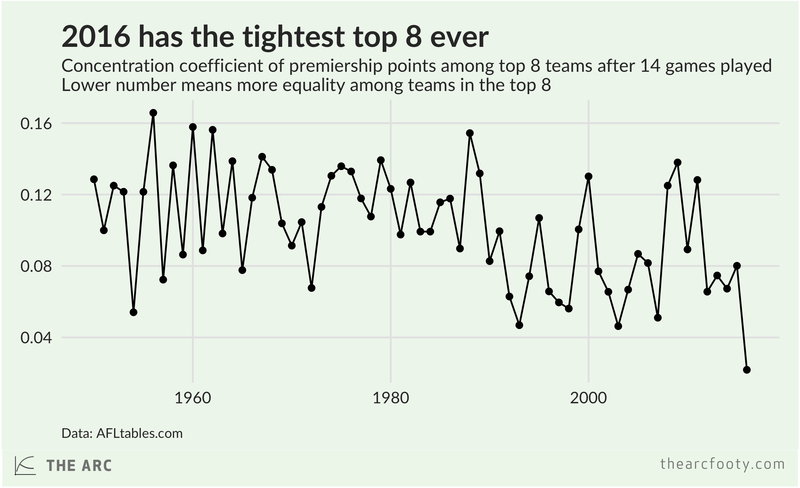 If we take into account the full distribution of premiership points among the top eight teams, this season has the most even top eight ever. We measure this using the concentration coefficient. The concentration coefficient reflects how equally premiership points are distributed among the top eight teams. If the first-placed team had all the premiership points, obviously an impossible scenario, the coefficient would equal one. If all teams in the top eight had the same number of premiership points, the coefficient would equal zero. So a lower coefficient, closer to zero, means that the top eight is more even, and a higher coefficient means a less equal distribution among the top eight teams. The concentration coefficient is at its lowest level ever for this point in the season. This is the tightest top eight on record.